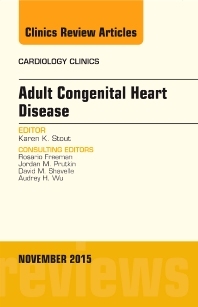 The full scope of adult congenital heart disease is examined in this issue of the Cardiology Clinics. Topics include Shunt Lesions, Coarctation of the Aorta, Tetralogy of Fallot, Transposition of Great Arteries, Fontan Repair of Single Ventricle Physiology, Arrhythmias in Adult Congenital Heart Disease, Pulmonary Hypertension. It will also feature special articles on Pregnancy, Non-pharmacologic Treatment, Transition and Psychosocial Issues, and Quality Metrics.